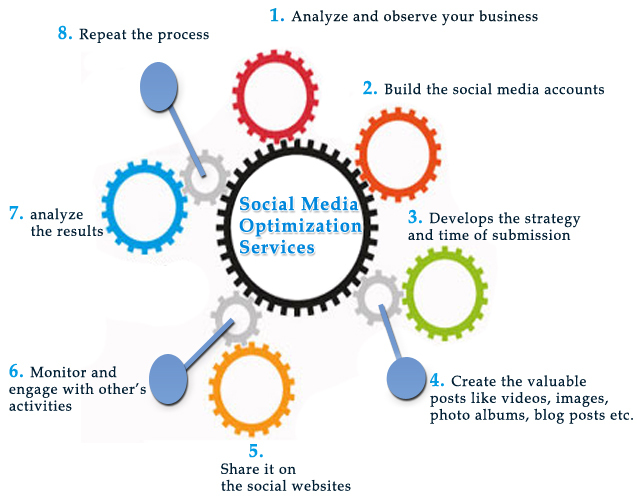 Having social media optimization service is very important in today's time when people spend most of the time on various social media platforms. Facebook and Twitter have become an important part of people's life. Whether it is sharing latest picture with the friends or participating in any event, every social activity is nowadays being performed on social media sites. As a business owner, you should connect with your target audience on the popular social media sites including Facebook, Twitter, LinkedIn and Google +. It will not only help you to share the information related to your business with the target audience, but also make you a known brand.